I Love My French Bulldog (fawn) Paw Magnet - NEW! 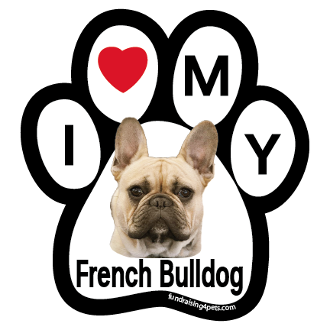 Our Products >> I Love My French Bulldog (fawn) Paw Magnet - NEW! 5.25" x 5.6" I Love My French Bulldog (fawn) Paw Magnet - NEW! New item, new color design!